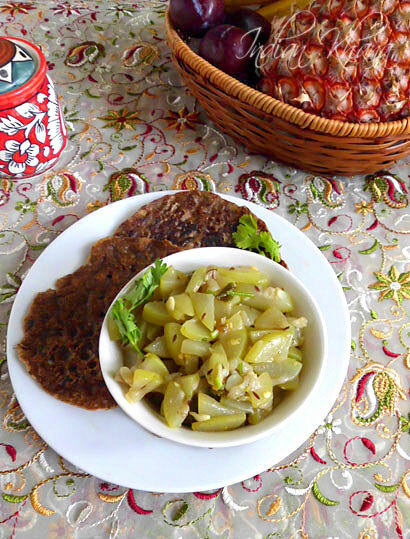 During fasting/upwa since there are lot of restriction in spices and vegetables this easy bottlegourd stir fry is handy recipe, we can follow the same method and make plantain, cucumber, aloo sabzi too. We can have this sabzi with singhara aloo poori or singhara cheela or singhara/kuttu paratha or even with samvat chawal. If you making this sabzi not during fasting then you can add garlic, onion, turmeric powder and serve along roti/rice anything. You can check other Navratri Vrat Recieps Here. 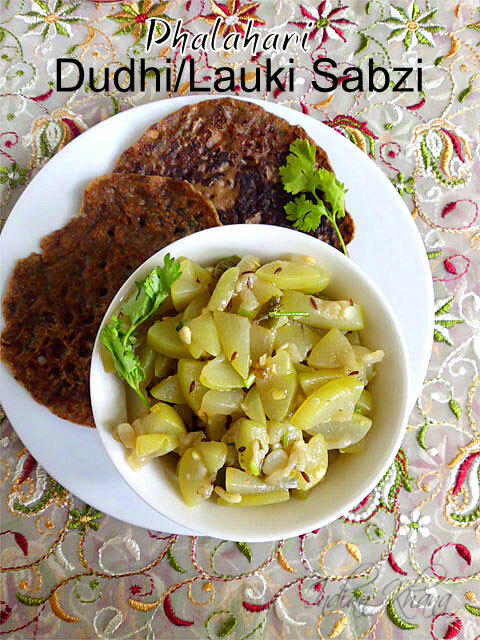 Phalahari Dudhi/Lauki sabzi is easy, quick and mild bottlegourd curry suitable for fasting/Vrat/upwas. Peel, wash and chop bottlegourd/lauki in small pieces, finely chop green chilies and coriander leaves. In a pan or wok heat oil add cumin seeds and allow to splutter. Add green chilies and saute until light brown. Add bottlegourd/lauki and mix well, cover and cook in slow to medium flame for 5-8 minutes with regular stirring. You can see now bottle gourd starts to leave water, let bottle gourd gets cooked until it becomes dry and all the water evaportes. 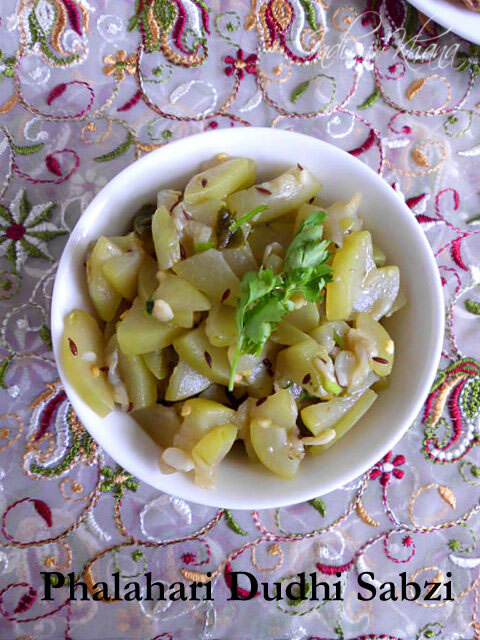 Add sendha namak mix and cook again in slow flame for 10 minutes or until bottle gourd gets cooked fully. Add coriander leaves, mix and off flame. 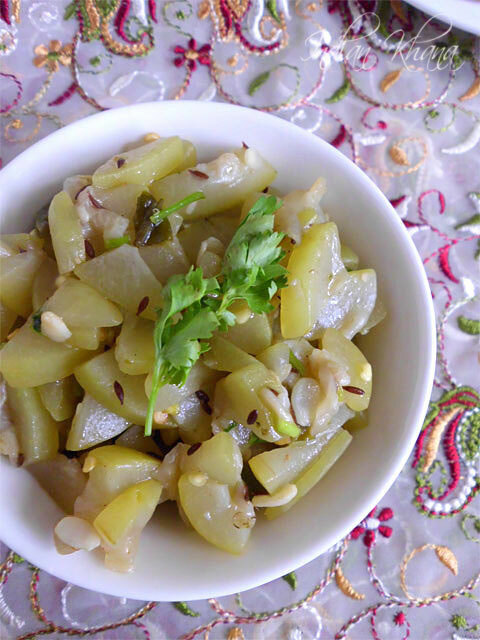 Easy, healthy sabzi for fasting or any day..